Young soccer star Charlie has the world at his feet. With a top club desperate to sign him, his future is seemingly mapped out. But the teenager sees only a nightmare. 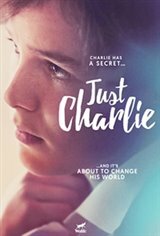 Trapped in the body of a boy, Charlie is torn between wanting to live up to her father's expectations and shedding this ill-fitting skin. Charlie's next move will tear the family apart and threaten everything they hold dear.